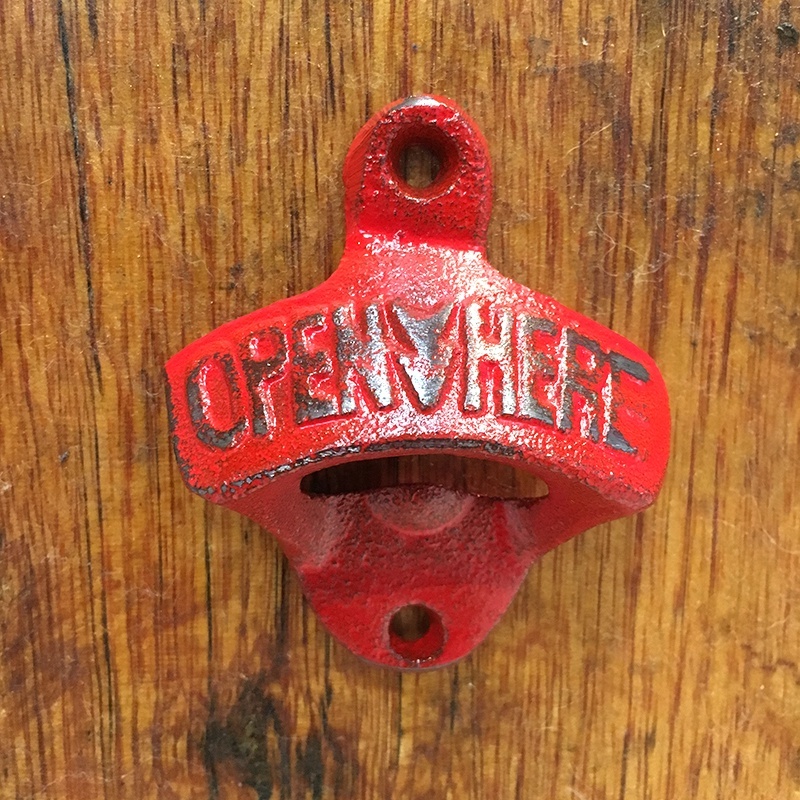 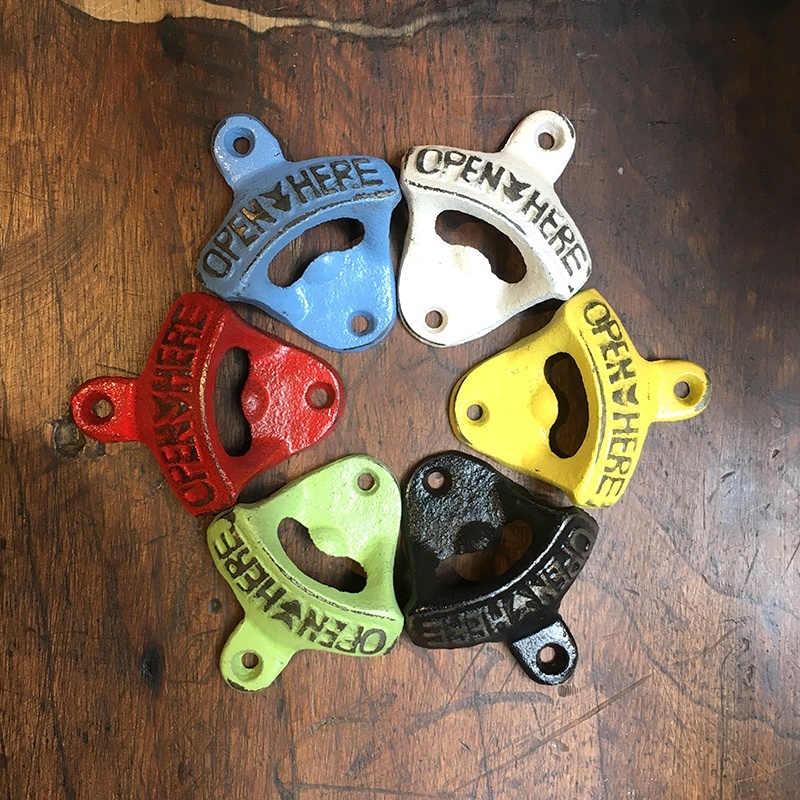 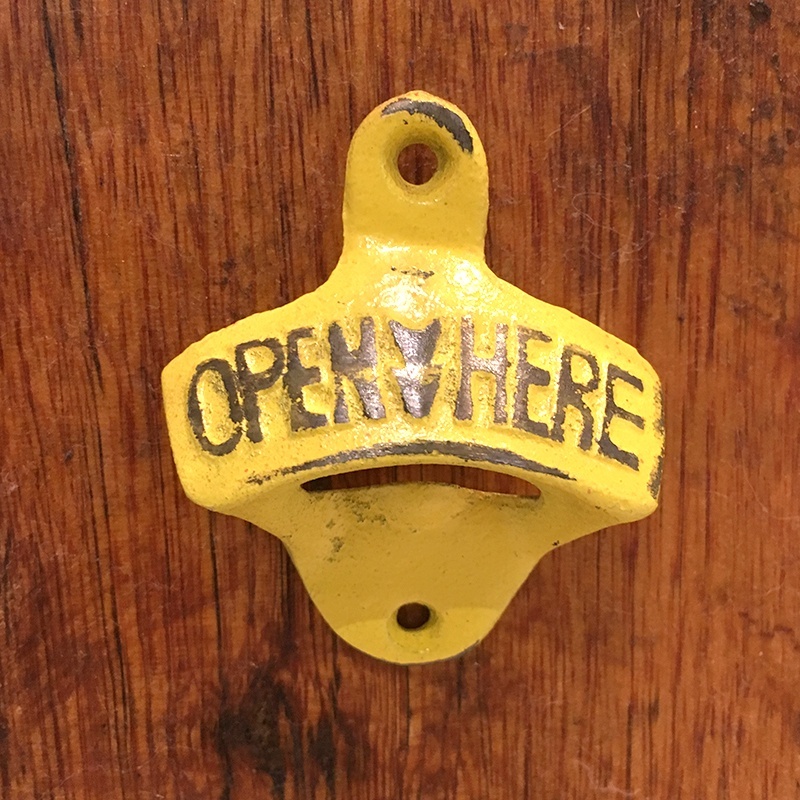 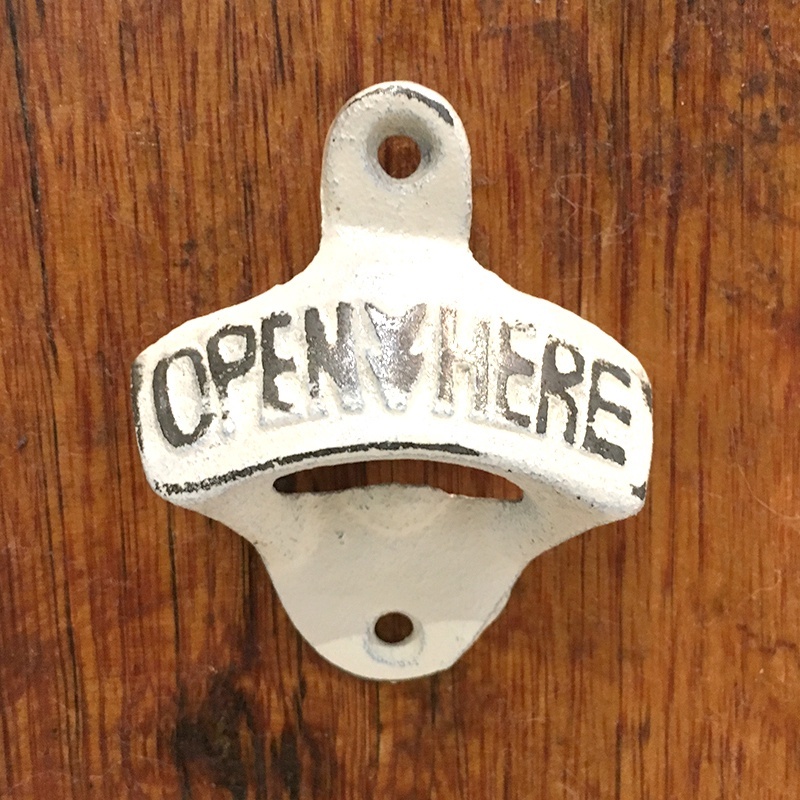 "Open Here" bottle openers are a classic product which is coming back! 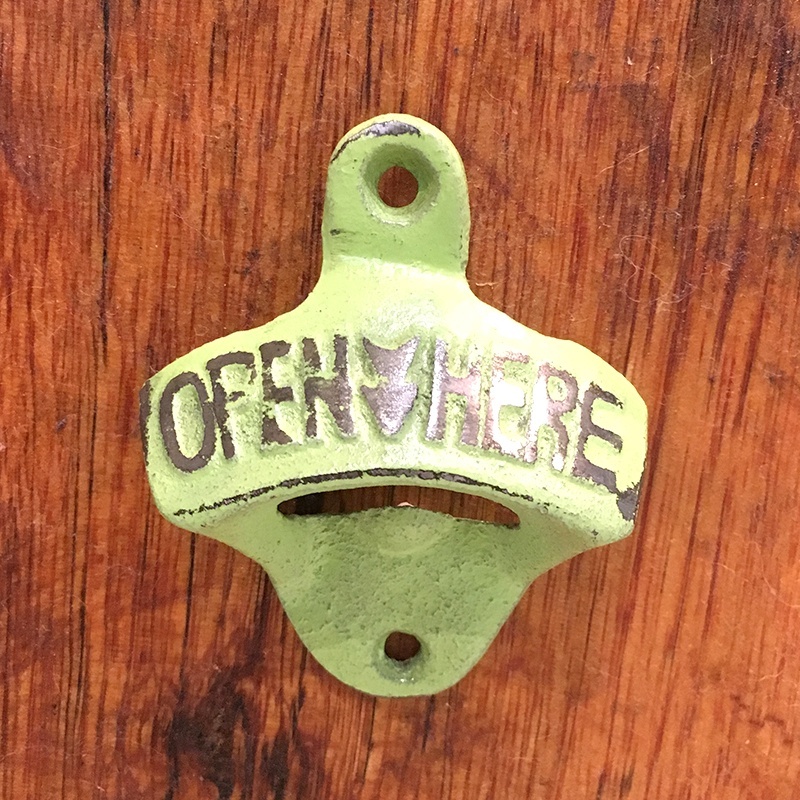 Measures approx 2.5" x 2.5" tall. 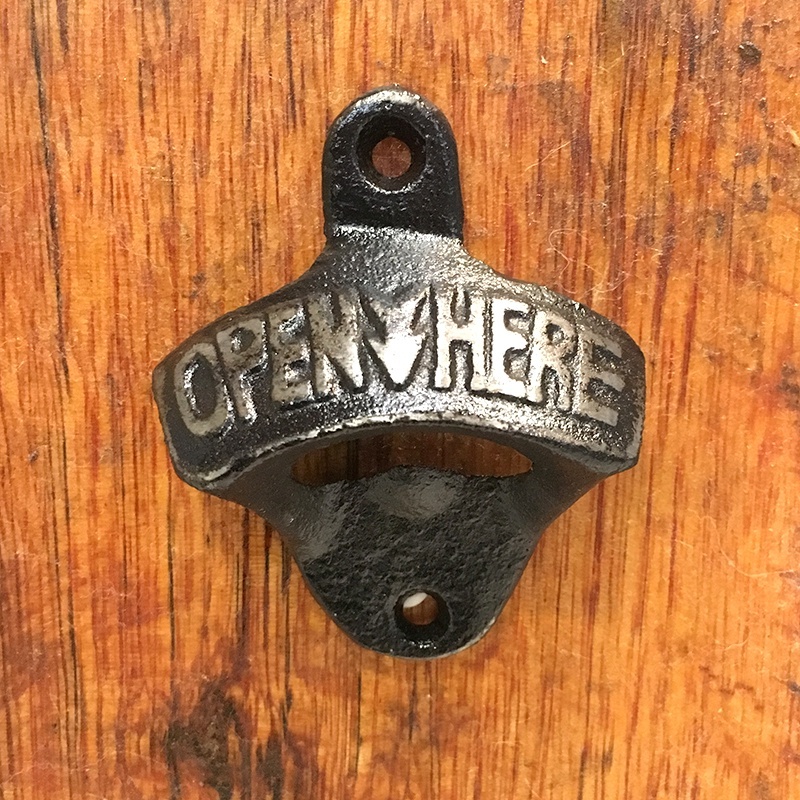 Made of cast iron with two holes for mounting with screws (not included). 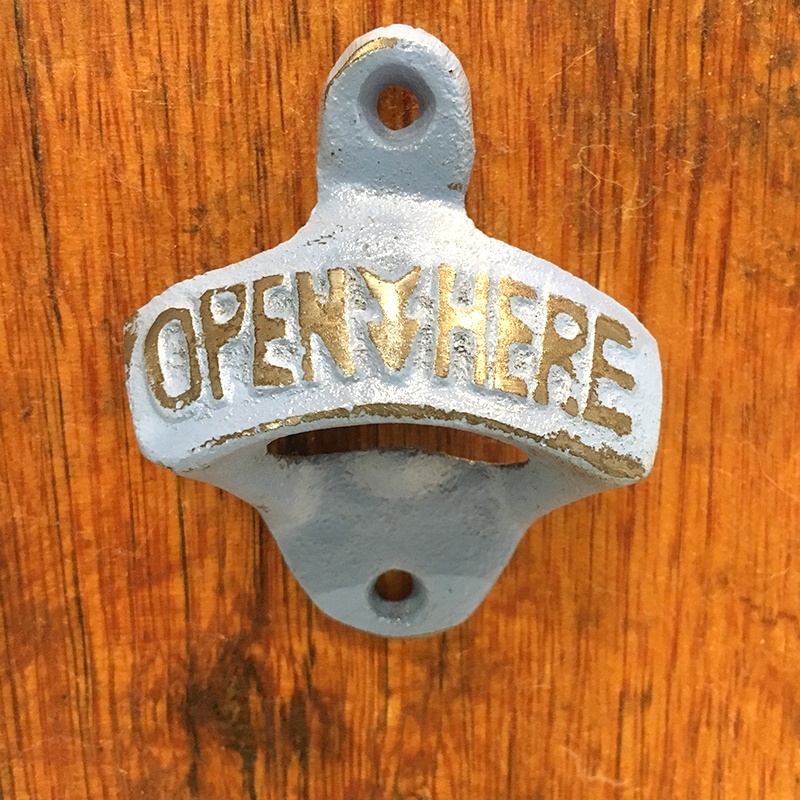 Hand painted, and hand distressed.